Roanoke, Virginia, is one of America's great historic railroad centers. The Norfolk & Western Railway Company, now the Norfolk Southern Corporation, has been in Roanoke for over a century. Since the company has employed many of the city's African Americans, the two histories are intertwined. The lives of Roanoke's black railroad workers span the generations from Jim Crow segregation to the civil rights era to today's diverse corporate workforce. Older generations toiled through labor-intensive jobs such as janitors and track laborers, paving the way for younger African Americans to become engineers, conductors and executives. 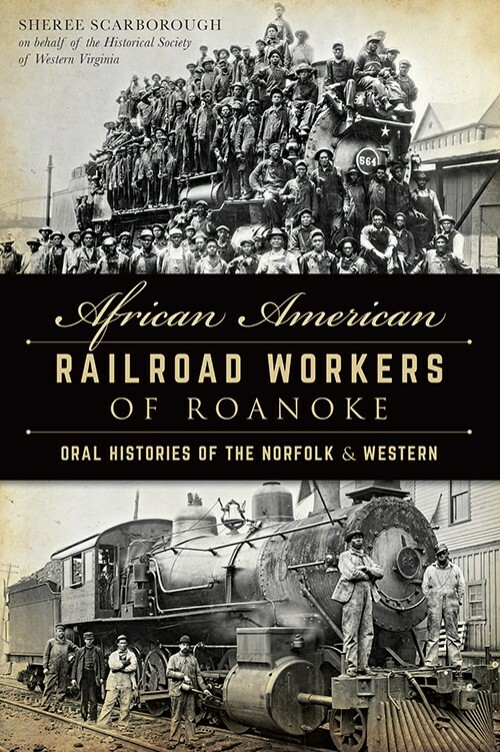 Join author Sheree Scarborough as she interviews Roanoke's African American railroad workers and chronicles stories that are a powerful testament of personal adversity, struggle and triumph on the rail.